The Yankees were swept by the Astros thanks to bullpen struggles and more sloppy play. We discuss takeaways from the Houston series, if we are concerned about the bullpen, why the Yankees are making so many fundamental mistakes, Masahiro Tanaka’s early season dominance, Luis Severino’s injury setback, and the upcoming White Sox series. 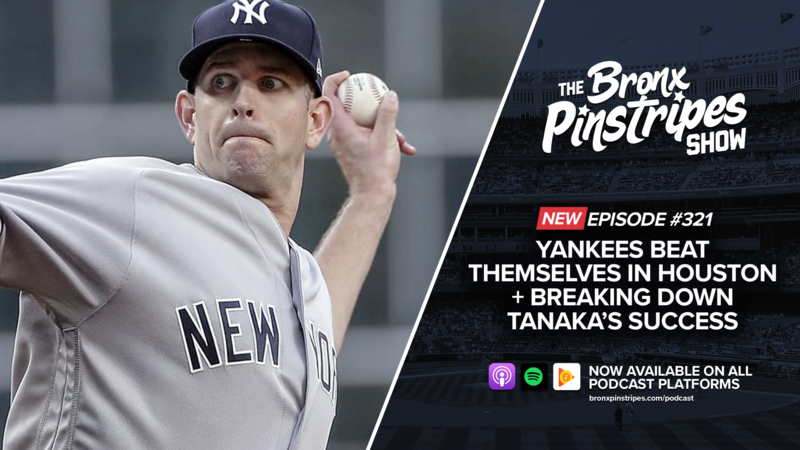 Andrew is joined by Bronx Pinstripes writer/baseball nerd Conrad Milhaupt (@ctmilhaupt) to break down Tanaka’s success so far this season. They dive into the advanced metrics on why Tanaka has been so good. You can find Conrad’s article about Tanaka here.